Wonderfully smooth translucent, semi clear A2 envelopes are the perfect alternative to the standard office bought white envelopes. For a one of a kind look design your invitations to be mailed in these envelopes. Translucent envelopes can be mailed through the post office. Translucent envelopes commonly referred to as vellum or transparent envelopes have a see through, almost clear appearance. Our collection is offered in clear vellum & a selection of metallic translucent colors. See through vellum envelopes are mailable through the post office & offered in 3 sizes, A2, A7, A8. Due to the hard, non porous surface of vellum envelopes we recommend ordering samples first if you plan to print at home. Envelopes are sold blank or printed. Question: Hoping to ask questions about your vellum envelopes. What is the difference between the two finishes? Answer: The sheer vellum is a semi translucent paper whereas the iridescent vellum is also semi translucent but has an added iridescent coating that gives a glistening, metallic look to the paper that shifts with lighting. Why order the same old standard envelopes when you can order translucent envelopes. 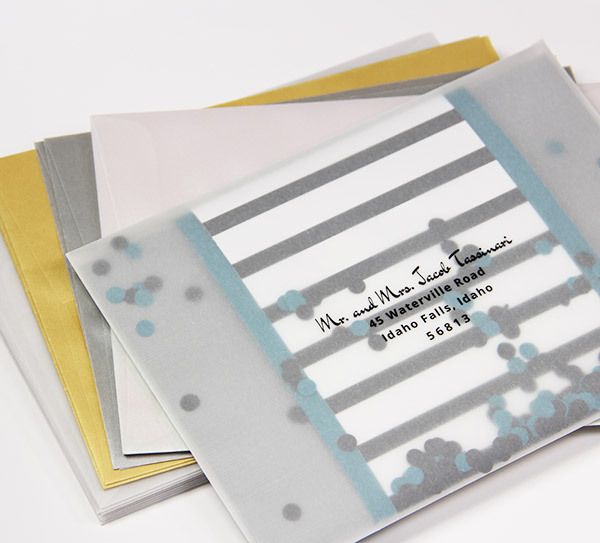 translucent, sheer envelopes are a cool, modern way to send out your invitations and offer guests a glimpse of what's inside. Choose from several popular sizes and two textures, sheer and metallic. Envelopes are constructed with a square flap & gum seal so all you have to do is moisten, stick & seal. Order them blank or printed. Vellum envelopes have a hard non-porous surface, we recommend ordering samples first if planning to print at home. 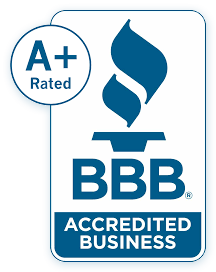 If you have questions give us a call and we'll be more than happy to help you out.